Olive Gachara is publisher and CEO of COUTURE Africa Limited (Couture Africa Magazine Media House). 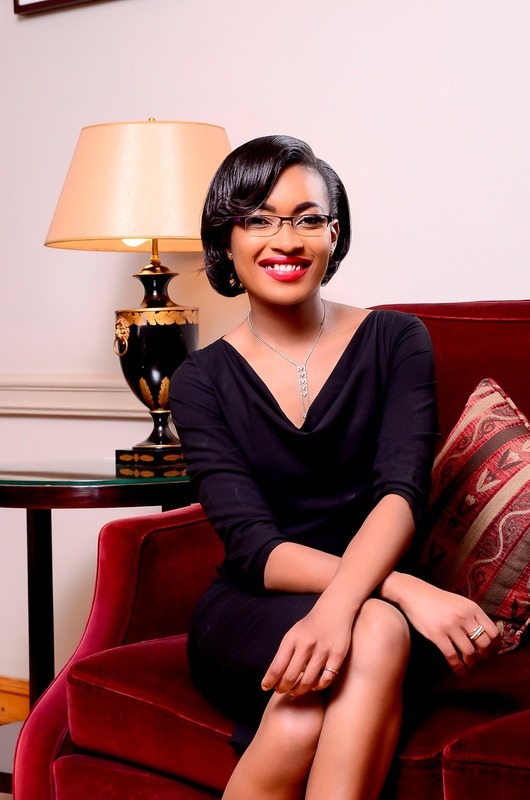 She is an angel investor on Lions’ Den – a business reality show currently airing on NTV Kenya. In addition, she is an image and brand consultant operating the brand Image with Olive Consultancy. The consultancy offers the following services; communication skills, personal branding, etiquette and professional image. This month (August 2018), her media house celebrates their fifth year anniversary. Join us in congratulating her team for creating epic content that continues to positively influence the lifestyle of women in East Africa. 1. How does one go about creating a strong brand as an image consultant and what Dos and Don’ts can you share that can aid people into building successful careers in this industry? Building a brand as an image consultant is all about brand positioning to the general public as well as the impact you leave with every group you interact with. As an image consultant you need to be able to inform, educate and impact change with every group during training, as well as with individuals during one-on-one sessions. If you are not able to do this and to be memorable, then your career will be very short-lived. To the general public, you also have to be able to walk the walk and talk the talk and live your brand as authentically as possible. You are your biggest asset. 2. At present you are publisher and editor in chief of COUTURE Africa Magazine (kudos!) how do you create a publication with such epic content that people love and can relate to? I am actually the publisher and C.E.O of COUTURE Africa Limited, the company that publishes COUTURE Africa Magazine. I was the Editor-In-Chief for the last four years, and recently recruited a very capable fashion journalist called Carol Odero so that I can focus my efforts on growing other brand elements outside of the magazine itself. When it comes to content, that was the easy part! There are so many great African stories to tell about fabulous African women, and amazing African fashion, and I do not think anyone in east Africa had put it all together in one place. Where people thought at the beginning we would not have enough to talk about, now we have too much to choose from – especially with the growth of the fashion industry. 3. From your experience of being an investor on Lions’ Den Kenya, what kind of businesses or ideas do you fancy in terms of putting up your capital for investment – and the thought process that goes into selecting these ideas/businesses? I think there has been a metamorphosis since season one in regards to the businesses I gravitate to. Initially I thought if it’s a viable business idea, I’ll go for it. However, I have found that the deals that tend to go through post-den are those that I have industry interest in. So now I focus on businesses that touch on things I am interested in on a personal level and most importantly the type of entrepreneur who is going to run the business. Above all else a big part of the decision is determined by the entrepreneur. 4. What are some of the steps an entrepreneur should follow in the process of attaining funding from investors and at what stage in the life cycle of a business would you recommend an entrepreneur should seek funding? The two most important things when seeking funding from investors is ensuring you have proof of concept, you have created a product/service people want, need or are interested in, and ensuring your numbers make sense. A business plan is only as strong as its numbers and having inflated financials to attract an investor – which is what most people do – only communicates that you do not have a strong understanding of your business model or its market potential. The last thing is flexibility. When you sit with investors, listen to what they have to say, take the advice that you think works for you and adjust accordingly. Many times you find that entrepreneurs are very adamant to stick to their initial plan, and that level of inflexibility may make investors shy away because it communicates the type of relationship you could have moving forward. 5. Smooth sailing does not exist in the world of entrepreneurship, what are some of the challenges you have gone through in building your business? Oh my, challenges are many! For the image consultancy business, I think my biggest challenge was breaking the barrier to have people understand what image consultancy is, what we do, and why they need us. It was a first in the market and getting the initial buy-in was extremely difficult. However, now that we have popularised it, image consultants seem to be appearing everywhere I turn – another challenge! With the magazine, I do not think I was aware on just how difficult it is to run a media house. The first challenge was working with people – especially creatives! Getting the magazine out on time was a constant challenge… managing cashflows in a high CAPEX and OPEX business was daunting and trying to build sustainable relationships with partners that your team can manage was more challenging than you would think. From the onset I was determined to build a business with the type of structures that can keep it running without my active involvement – yet here I am, five years later, getting even more involved than I was two years ago. 6. Talking about structures for a business, what role does having a trade-marked logo, responsive website play in having a thriving business? A trademarked logo is not necessarily a priority. There is no need to trademark a logo until it becomes a brand…for example, we only trademarked the COUTURE Africa Masthead in our third year because by that time it had gained the brand equity it needed to know that we need to protect it. Plus we were sure that we were not going to change the logo again anytime soon. My consultancy logo on the other hand has never been trademarked, and we just re-branded to something else – 7 years later. Responsive – and fast – websites though are extremely important, especially in this world where 50% of internet users access their content on their phones. The internet has so much clutter now, that if your website is not responsive, and does not load in 2-seconds someone has moved on to the next! Remember the days when we would stare at a loading screen for almost 30 seconds waiting for a website to load…when was the last time you did that? 7. For solopreneurs who do not have capital to recruit people to work for them, how can they go about lessening the pressure that comes with running a business? I do not think there is such a thing as a solopreneur. However, if you are not able to get a team in place right from the onset, use technology to your advantage and outsource, outsource, outsource. You can only go so far as a one-man show – unless of course, you’re a consultant and you are the business. But even then, only so far. 8. What is your favourite beauty product that is always in your handbag and why do you love it so much? My favourite beauty product is Mascara; however, I do not carry it in my handbag. Actually, same for lipstick/lip gloss I do not carry any colour cosmetics in my handbag. Something about the constant exposure to heat that changes their chemical composition every time they melt and harden again. You will however find me with basic refreshers like body splash hand sanitizer and hand cream.